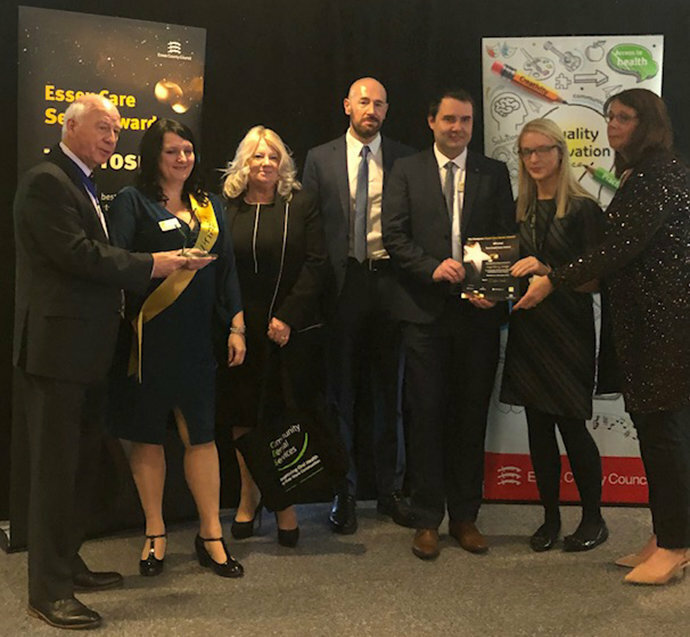 Congratulations to several Runwood Homes care homes and their professional team members who were awarded and commended at the third Essex Care Sector Awards ‘The Prospers’, a celebration of innovative practice and outstanding achievement across the care sector. 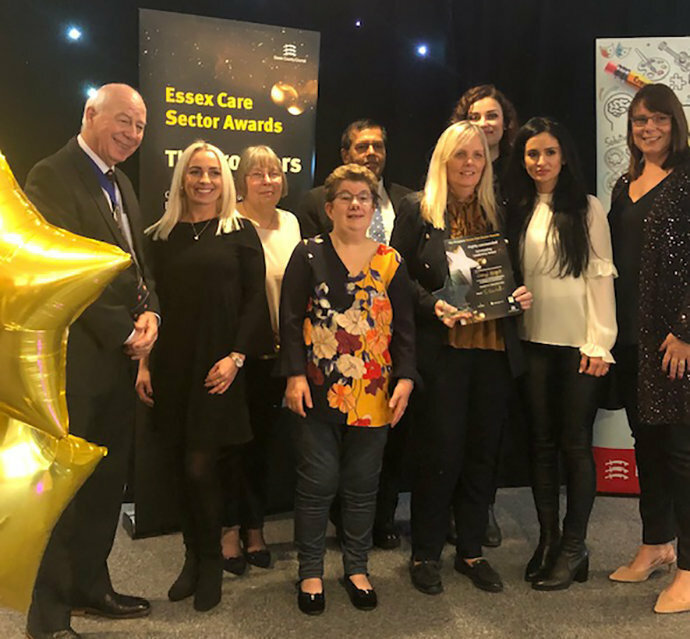 The 2018 awards ceremony, held at Chelmsford City Racecourse on Tuesday 4 December, celebrates the best of care in Essex and is supported by Essex County Council. 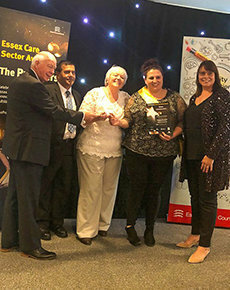 Becky Levy, Administrator at Longview residential care home in Canvey Island, was announced as the Winner of the Unsung Hero Award; recognised Becky for going beyond her daily administration duties and to engage with the local community and work tirelessly for the residents of her home to improve their quality of life along with the homes’ professional care team. 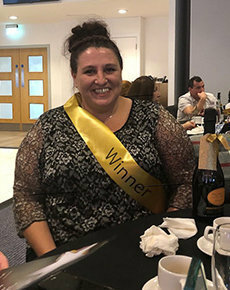 Cheryl Wright, Home Manger of Frank Foster House residential care home in Theydon Bois, was Highly Commended in the Outstanding Leadership Award; recognising individuals who provide great leadership and support in their roles and are an inspiration to others. Frank Foster House is rated ‘Outstanding’ by the Care Quality Commission. 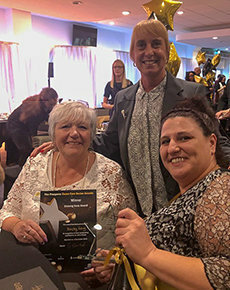 Jill Davies and Pat Hidson, also of Frank Foster House, were Highly Commended in the Unsung Hero Award. The Best Partnership & Collaboration category saw Broomhills care home in Rochford achieve Highly Commended status. This category recognises working in partnership with other organisations such as community health providers, CCG’s, specialist health services, voluntary sector to achieve the best outcomes for individuals. 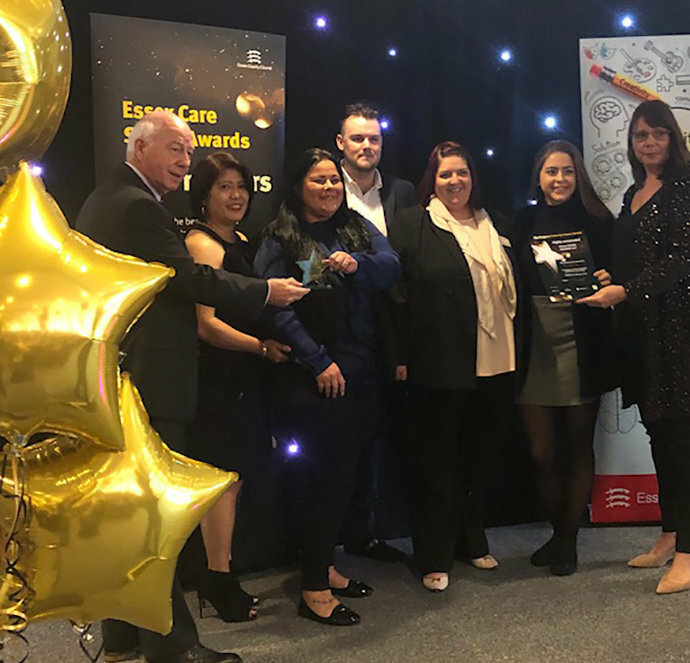 Loganberry Lodge residential care home in Stanway near Colchester, were announced as the Winner of the Oral Healthcare Award, recognising the home has committed to good oral health practises for their residents and promotes best practice across the care sector. Each resident at Loganberry Lodge has their own personalised oral healthcare plan upon admission, promoting person centred care and promoting independence, choice and wellbeing. 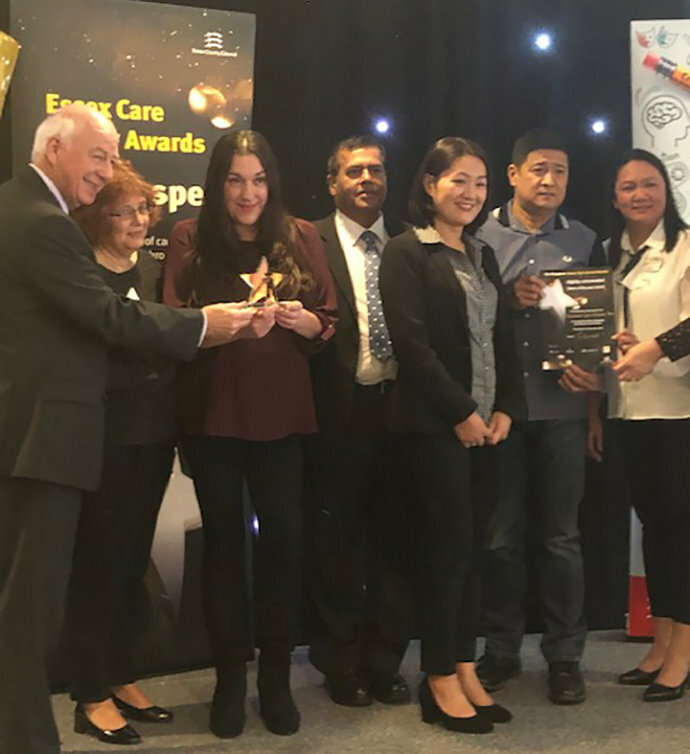 The Kitchen Team at Rosedale Court in Rayleigh received the Highly Commended award for Team of the Year Award, celebrating a team of people for their outstanding contribution to care services and delivering the best outcomes for the residents they provide a service to. Runwood Homes has over 70 care homes across the UK, many being in the county of Essex, providing expert residential care for older people, including those who are living with dementia. Excellent facilities are available for those who may find it difficult to manage without assistance and all residents are encouraged to maintain their independence as much as is possible, with dedicated carers on hand 24 hours a day ensuring their wellbeing, safety and dignity. Runwood Homes leads the way in specialist residential dementia care, with over 600 dedicated dementia leaders who have had specialist training. For more information call 01702 559797 email info@runwoodhomes.co.uk or click here to browse our website.